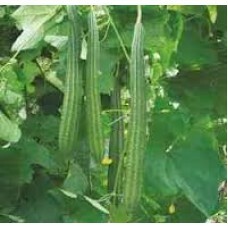 Ridge Gourd grows well in warm and hot temperature. It grows best in the temperature range of 25° to 30 °C. Sow the 5 seeds per pit and thin the seedlings to two/ pit after 15 days. Seedling takes place within 4 days from the date of sowing. Shallow cultivation should be given during the early stage of growth. The plants should be provided a suitable support made of bamboo sticks. The fruit become ready for harvest from 55 – 60 days of sowing. The full grown tender fruit should be harvested at weekly interval by cutting them with a knife. Ridge gourd Hybrid Seeds. Weight: 2 grams. 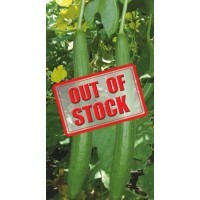 ..
Sponge Gourd Non-Hybrid Seeds. Also known as : Nethi BeeraWeight: 5 grams. &nb..